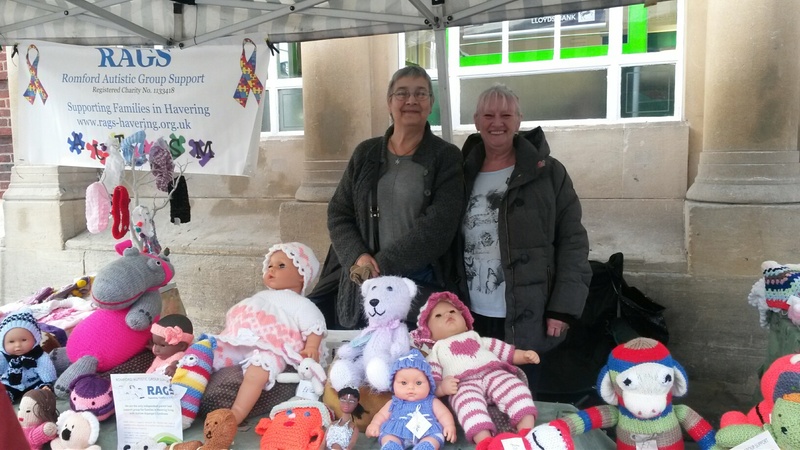 The ladies of the Harold Hill Library Knitting Group have been very busy all year making handmade items to sell on Romford Market every Wednesday and Saturday up to Christmas. All proceeds will come to RAGS for which were are very grateful. If you are in Romford from 28th October, please have a look or just say hello they are lovely people and one lady has a grandson with Asperger’s. The stall is at the High Street end of market right by Lloyd’s Bank. Thank you.